It's okay. Outside of Nintendo Land, I don't really see any game that makes good use of the GamePad, nor do I see anything groundbreaking or something to show off the new system. Definitely better than 3DS though, I just voted "Not satisfied" for that poll. Okay. You've got what actually turned out to be a very fun bundled tech demo, a 2D Super Mario platformer, an interesting survival horror game that properly utilizes the Gamepad, and a slew of decent third party ports. There's no generation defining title like Super Mario 64 or anything that seems to push this concept to all that it is worth, but setting expectations that high is a bit silly. It's enough to not regret my purchase, to have some good fun with family and friends, and to look forward to the future. "Satisfied" because "Very satisfied" requires Pikmin 3 in my possession. I, too, am satisfied. I'm enjoying the heck out of Nintendoland, Sonic Racing and Nano Assault Neo. I think ZombiU is pretty great too. There's just not that one absolutely outstanding game to push it to very satisfied. For me, The Wonderful 101 might've done it. That might just be because my expectations for console launches are basement-low (especially after the 3DS'), but this was the first console launch in recent memory that had more than 1 or 2 games that I actually want. I've bought 2 digital & 2 retail games, and have about 3 more of each that I still intend to buy. So i'm plenty happy with the lineup. "Satisfied". Lots of fun stuff between retail and digital download but there isn't that one killer game for me. I went with very satisfied, but that's more about where I am, time and money wise. If there were tons of games I wanted, you might think that would be more satisfying, but in fact it would lead to difficult choices and the feeling that I might have picked wrong. That's unsatisfying. As it is, it was always obvious to me what two games I would be picking up at launch. I picked them up and I've enjoyed them greatly. There's also some games that seem somewhat intriguing and I'll happily scoop them up on the cheap down the road. Very satisfying. Satisfied. While it doesn't have the huge "MUST-HAVE" launch title (and in reality, most new systems don't -- as Nintendo fans, we've gotten spoiled with some big launch games over the years), it really hits every note and covers all bases and genres pretty well. There's the flagship mascot game (NSMBU), the exclusive FPS (ZombiU), the family/casual-focused Nintendo Land -- not to mention that AC3, Darksiders II, and Batman are all games I would have gotten had I not already bought them for other systems. For people who hadn't played those games yet and were waiting to get those for Wii U, it's makes a pretty solid lineup even stronger. To sum it up -- there's plenty of games to play, which is all you can ask of a launch. So many games I want for it so I went Very Satisfied. There are enough titles to keep us busy over Christmas. Satisfied. I've enjoyed NSMBU and Nintendo Land, and there are certainly some other titles I'm looking forward to picking up. Do I wish there was a big killer app, must have game like Super Mario 64? Sure. But there are certainly more options than the N64 had at launch. Super Mario 64 was amazing, yes -- but it would have to be, since it made up half of the launch. The Wii U's games don't quite measure up to the impact that Mario 64 had, but they're solid enough and there's quite a variety. So overall, yes, I'm pretty happy with it. I'll say very satisfied. There's a few games that I still want (Batman, Sonic & All-Stars Racing Transformed, and Scribblenauts Unlimited, and I'm modestly curious about Madden 13 (might wait for the full-featured '14) and Epic Mickey 2), but the two that I own I'm happy with. Sure NSMBU feels like a retread of NSMBW, but it's still new and is the first Mario game that's launched with a new Nintendo system since the original DS launched in 2004. Nintendo Land is the perfect console pack-in. There's a lot of variety in the games that launched with the Wii U, from FPS to RPG, and even the eShop had a strong showing. I didn't buy much, but I'm very satisfied with how launch turned out. Very satisfied. Yes, it's missing a game with the Mario 64 wow factor, but it's the deepest and highest quality launch lineup in the history of console launches. I've never bought systems at launch until the 3DS partly because of me trying to save money, partly because I wasn't impressed with launch line-ups before. 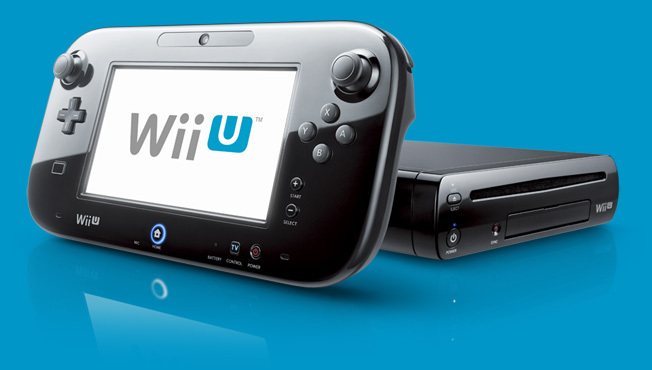 The 3DS would have been a "Not Satisfied", but for the Wii U I have to go with "Very Satisfied". Not only did the system have the eShop AT LAUNCH thank god, but it even has good games on it! Mario is great, Nintendo Land is alright (still looking forward to playing it with a full complement of friends), and I'm still thinking of picking up a couple of games, with Sonic Racing and ZombiU leading, Scribblenauts after a price drop, and perhaps some of the ports. Very satisfied though I think one more option like "extremely satisfied" would fit. Cuz there isn't quite the BLOW YOU AWAY title, though there are many great ones and many are close to absolutely blowing me away. As a whole though, when all is said and done, quantity and quality wise, it's probably the best launch ever. I mean, I own 7 retail games and 2 digital games and I still want more. It's ridiculous. So in that sense it does deserve the extremely satisfied option which doesn't exist. Sorta contradicted myself here lol. I'm satisfied but it doesn't take much to make me happy. I'm concerned about getting other games that really show off the hardware and gamepad. Hopefully that rumor thats floating around about Nintendo keeping their game line up a secret is true. Very satisfied. I have 3 games at the moment: Nintendo Land, ZombiU, and Trine 2, and I'm very much enjoying each one. I have 25 bucks left on my eshop account, but trying to figure out what I want to purchase or save it for. I still want Arkham City, Darksiders 2, and Tekken Tag Tourney 2. The launch lineup has a lot that I want, and sadly I can't afford it all. But what I have is excellent, and that's good enough for me.